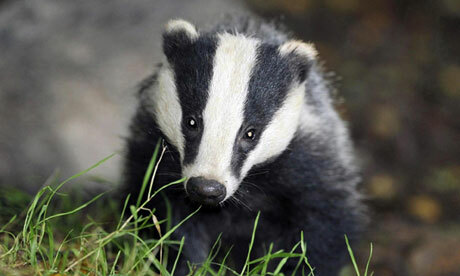 Two main public bodies were involved in regulating the cull. Natural England granted licences to take and kill badgers using controlled shooting in an annual cull over a 4 year period until the end of 2015 (as such other period as it may decide) in Somerset and Gloucestershire, Defra’s December 2011 Policy had stated that culls should continue for a period of not less than 4 consecutive years, based on expert scientific advice. The Trust said that Defra had given an unqualified and unequivocal assurance in its Policy (and other material to be read with the policy) that, as long as it had in contemplation the extension of culling beyond the pilot areas in Somerset and Gloucestershire, it would keep in place the IEP and would not extend culling beyond the two pilot areas unless either (a) the IEP had concluded that culling by controlled shooting was safe, effective and humane; or (b) the Defendant had at least taken into account an evaluation made by the IEP as to the safety, effectiveness and humaneness of culling by controlled shooting. The legal route for the public law challenge was substantive legitimate expectation; Defra ought to be held to its assurance. The law was uncontroversial. There must be a representation or promise which is clear, unambiguous and devoid of relevant qualification. There must be a “specific undertaking”, directed at a particular individual or group, by which the relevant policy’s continuance is assured. A representation may be clear, unambiguous and devoid of any relevant qualification even though some details are missing, or some terms are not defined with the precision to be found in a competently drafted commercial contract. The Trust argued that the Defra Policy meant that the IEP will remain in place throughout the period of the “pilot”. The Court thought that the “pilot” referred to was the initial 6 week culling, not the 4 years contemplated by Natural England and Defra. It added that even if the references to “pilot” in the Policy are ambiguous, this did not get the Claimant home under the principles of legitimate expectation. As I noted in my previous post here, the Trust is suspicious that getting rid of the IEP was motivated by the unwelcome results of its analysis of the initial 6 week cull. Defra argued that most of the recommendations of the IEP on effectiveness and humaneness had been adopted for future culls, and that there would be continued monitoring and an independent audit. That may be so, but then one wonders still why get rid of the IEP. But Courts are reluctant to find unqualified assurances by Government. They would bind Government to a policy the merits of which may change over time. Hence, the requirement of a specific promise to a specific group in order to found a legitimate expectation in law. And, the CA decided, that was not established on the facts. Do read Patrick Barkham’s Badgerlands, Granta 2013, on the background to all this.